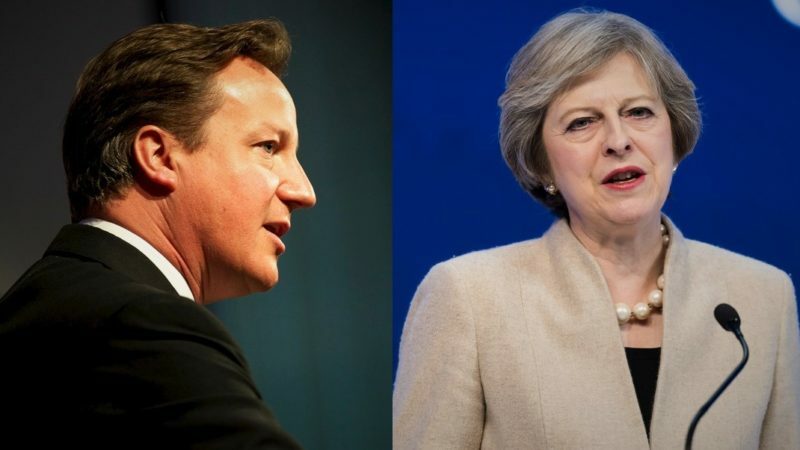 Are May and Cameron's welfare reforms a violation of human rights law? The Equality and Human Rights Commission (EHRC) has just released a major analysis of the effects of tax and welfare reforms since 2010. The data is illuminating – but it makes for painful reading. Let’s start with the good news. As this graph shows, the top 10% paid a little bit extra through indirect taxes (VAT and others). And the introduction of the National Living Wage had a positive impact across the board, though more so for the bottom half of society. But now the rest. The largest cash gains from changes to Income Tax and NICs went to the wealthiest, particularly the top 30%. The poorest adults did not get much out of it either because they were not in work or because they did not earn enough to notice the tax changes. 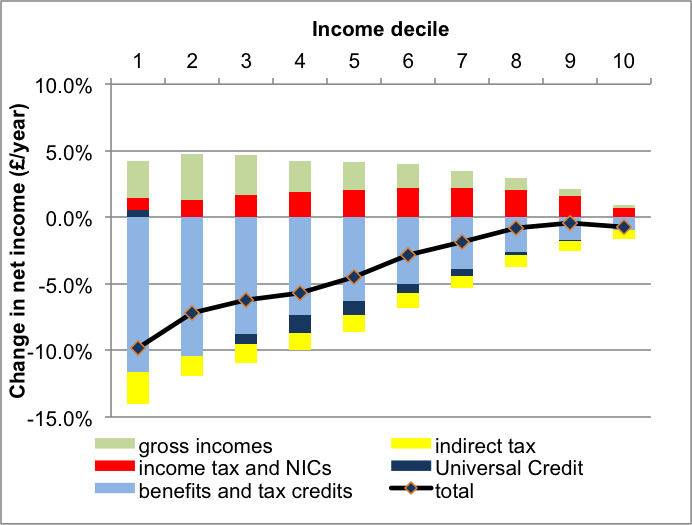 The most regressive impact came from benefit and tax credits and from Universal Credit. 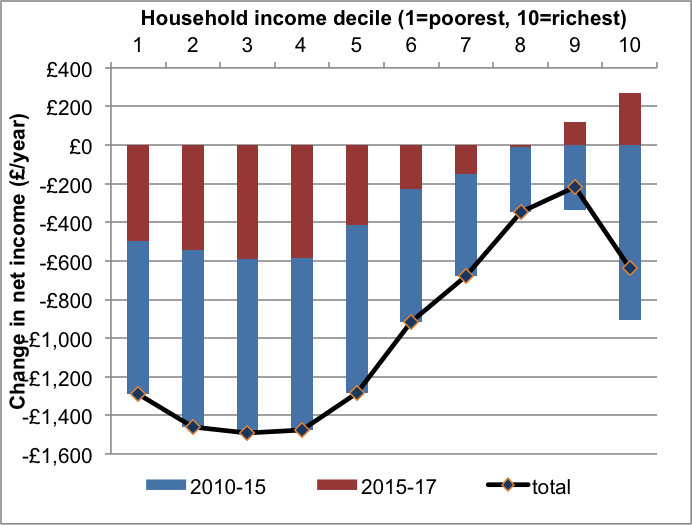 Households in the second and third decile (those who have to look upwards to find 70-90% of the people) lost more than twice as much as those in the top 20%. The roll out of the Universal Credit has led to further cash losses. If we add up the good news and the bad ones, the conclusion is that, while everyone has lost some money, not everyone has lost the same. Net cash losses for the bottom 40% have been about £1,500 per year. For the nearly wealthiest ones (decile 9), the average cash loss has been £200. 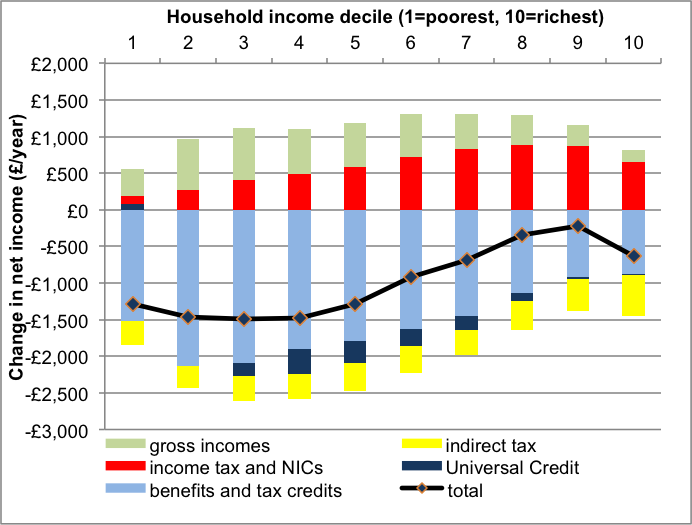 In other words, a typical household in the bottom 10% has lost £1 in every £8 of net income, while a household in the near top (decile 9) has lost £1 in every £250 (Figure 2). 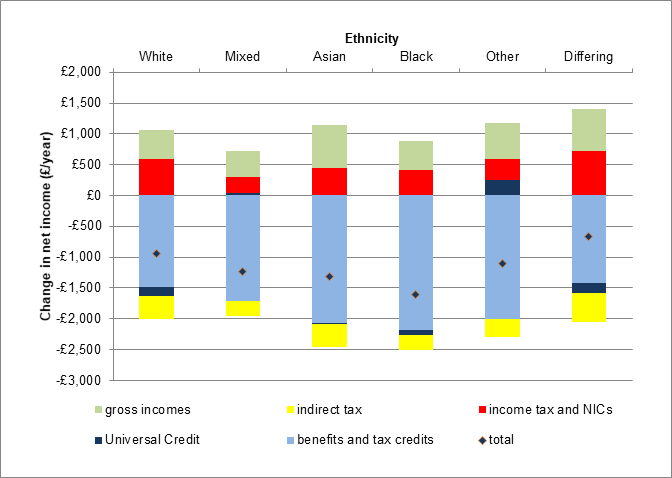 On average, black and ethnic minority households have paid a higher price than white households. 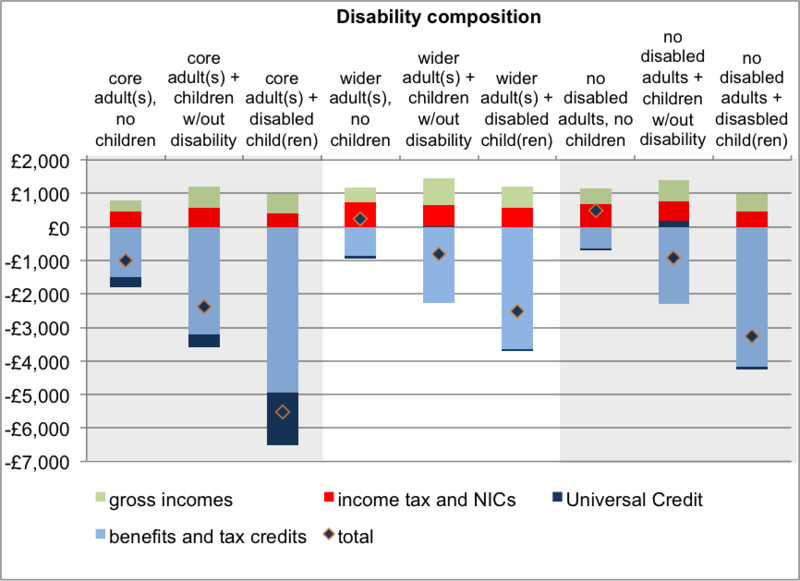 Families with at least one member with a disability have bit hit particularly hard. Lone parents, more than 80% of whom are women, have suffered disproportionately. 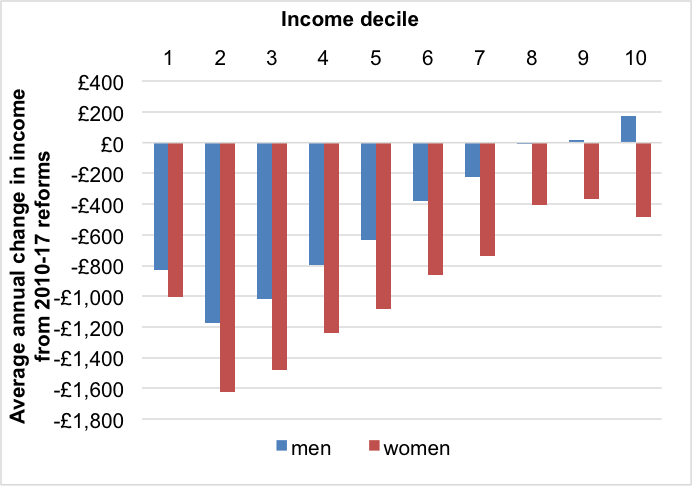 In fact, women have been more negatively affected by tax and welfare reforms in all income brackets. The UK is bound by international law to advance progressively in the protection of economic and social rights for everyone, but especially for most disadvantaged groups. In accordance with international standards, seemingly regressive measures can only be accepted if they meet the following requirements. The government must show that other alternatives have been considered but discarded, and why. The policies have to be the result of genuine participation by those most affected by them and they ought to be accompanied by an independent review. And the measures must be necessary, proportionate and non-discriminatory. The EHRC’s study sadly proves that at least some of these principles have not been met. The tax and welfare reforms constitute an unacceptable regression in the human rights to social security and to an adequate standard of living, proclaimed in Articles 9 and 11 of the International Covenant on Economic, Social and Cultural Rights. And we are actually going in the wrong direction. The impact of reforms in the last two years has been positive for the top 20% – but has remained substantially negative for the bottom 70%. 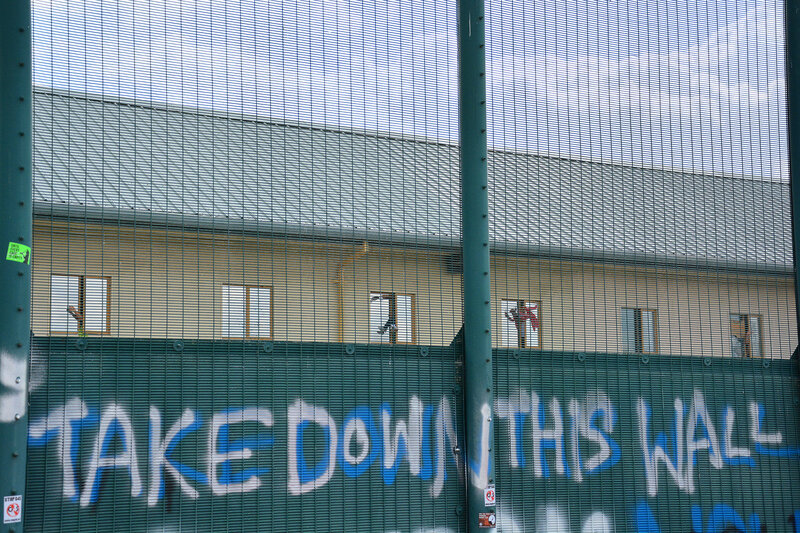 These jaw-dropping findings bring to mind the strong criticisms from the UN Committee on Economic, Social and Cultural Rights, which in 2016 accused the UK government of failing to reconcile austerity measures with its human rights commitments. For decades, the UK was instrumental in the international recognition of human rights. But we live in different times now. When the research is so conclusive, we have to say it loud and clear: tax and social security reforms are a violation of international human rights law. But more than that, they are the confirmation that we don’t live in a fair society. Austerity was always a political choice, never an economic necessity. Where’s the trillions the working man has paid the socialist welfare state? Austerity is a consequence. Some one has to pay the welfare state’s 10,000 bn pension debt. That went up 300 bn just because of inflation. How is poor defined nowadays as opposed to when people were poor! The EHRC is a confidence trick that finds causes to apply for more money to eradicate. A massive con trick. Some looney posts above. The IFS confirms the analysis of the EHRC. Can anyone find fault with it? UC has rolled out to about 10% those eligible. So its devasting effects are yet to hit millions of poor people. It typical of most in this me, me, me society, heads buried in sand and crying we have no money, good god were meant to be the 5th/6th richest country in the world not the 5th/6th poorest; the trouble is selfish people can’t and won’t see further than their own selfish ego’s.